When you least expect it, fire can break out in your home. Any room can catch on fire, sending smoke all over your house. With the smoke and heat, soot also travels, landing on anything present. Cinders carried around can start additional fires in other areas in your home, creating even more havoc and destruction. 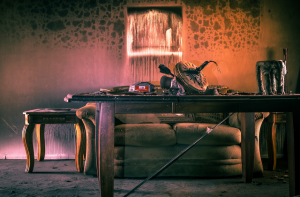 Boca Raton residents often feel lost as to what steps they should take after a fire has destroyed their home but experts in fire damage repair can make everything much simpler. Express Emergency has highly experienced crews who have received extensive education in everything from the tools and materials involved to where to begin first to minimize the time involved in repairing everything. Tarping a home after a fire to guard its remaining integrity and prevent problems from weather-related incidents is one of the initial services we perform. As we work, and until we are finished, access to the affected areas should remain limited. Not only is soot highly corrosive to inanimate objects, but it can irritate even the healthiest person’s pulmonary system. To protect ourselves, we wear protective gear until all damaged areas are clean and burned building materials are removed. We inspect each support beam for damage before beginning. Following this, we also check to ensure that floorboards are able to hold the combined weight of our crews, their equipment, necessary tools, and the building materials required. We also need space in which to work, cutting boards and drywall, mixing paints and plaster, and much more. Belongings left inside your home may be moved to other areas of your home, or covered with drop cloths to protect them. Damage from a fire is more than just of a structural nature at times. Because we want your home to be completely ready for you to return to, we also clean and restore everything the way it should be. Soot and smoke are removed and cleaned away from surfaces, upholstery is cleaned and dried, water damage from firefighting efforts is suctioned up and removed, and deodorization of your home all add up to a fully restored home. Fire damage repair can be overwhelming, but we are always willing to explain what we are doing in a home undergoing reconstruction. A house fire is one of the most traumatic experiences a family can endure. Being reassured that all is going as expected and that returning home is in the future can reduce much of the stress felt. At Express Emergency, ensuring that you return home to a place that is not only safe but that also feels like home to you is one of our highest priorities. We show we care for our customers and their families through our quality and professionalism. 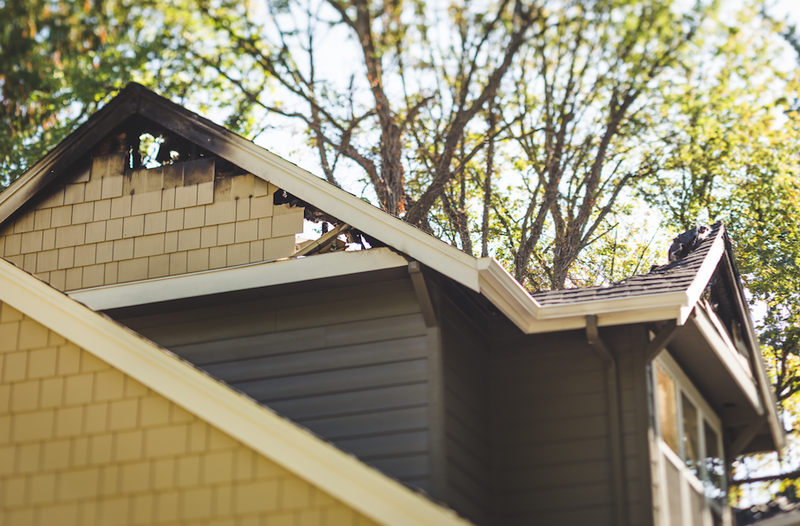 When you need fire damage repair, choose a company that cares and can provide the services you need for you and your family. Express Emergency is there for you, only a phone call away. Our emergency number, 888-334-5994, is always answered, so there is no need to wait until the next business day. 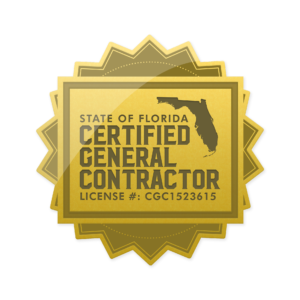 This entry was posted in Blog, Boca Raton, Fire Damage and tagged fire damage boca raton, fire damage boynton beach, fire damage deerfield beach, fire damage delray beach, fire damage ft. lauderdale, fire damage highland beach, fire damage hillsboro beach, fire damage hypoluxo, fire damage lake worth, fire damage lantana, fire damage lighthouse point, fire damage manalapan, fire damage ocean ridge, fire damage palm beach, fire damage pompano beach.